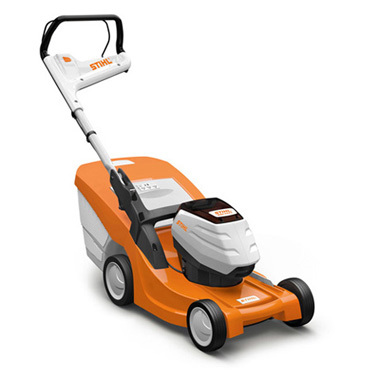 The Stihl RMA 433 C is suitable for mowing medium to larger sized lawns. The polymer base makes for a light weight (21kg excl battery) unit that is easy to manoeuvre and operate. The unique Eco-Mow feature maximises battery life by drawing only the amount of battery power required for the job at hand. This unit runs on the Stihl AP (full sized) battery platform. Battery and charger are sold separately.